what’s up. Really like the distro so far - however, all the time I’ve been using it (besides trying it in a VM) has been in the liveUSB since my zpool wouldn’t boot. The first time I tried installing it, I selected force 4k sectors, named my pool rpool (RIP Solaris), I don’t think there was any more options (?) 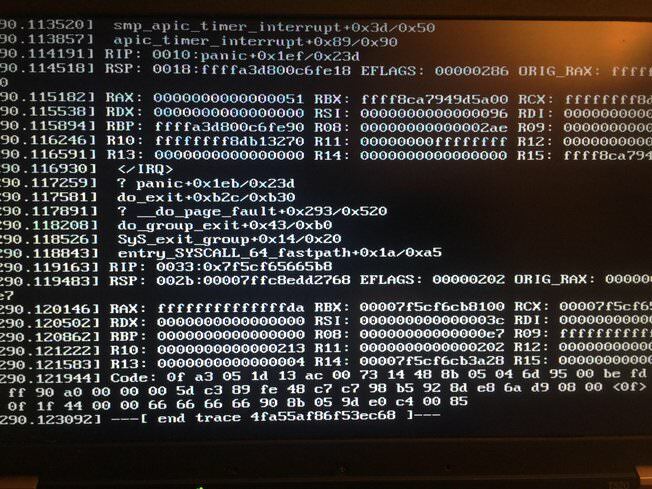 The bootloader was grub (only one available) and the disk was GPT. Trying to import the pool was futile, as it locked up the computer, even though the zfs module was loaded (ala # modprobe zfs). I’m not sure if I would have been able to rebuild using # mkinitcpio -P linux-lts where I was, but I didn’t think of it until now. I’m not sure if zpool.cache was the issue, since after I reinstalled, although the zpool didn’t load the first time, it did load manually and then upon reboot it started booting properly. So that made me very, very happy. So that was an ominous message! It’s the same one I got before, too, but last time when I tried to import the pool it didn’t work. 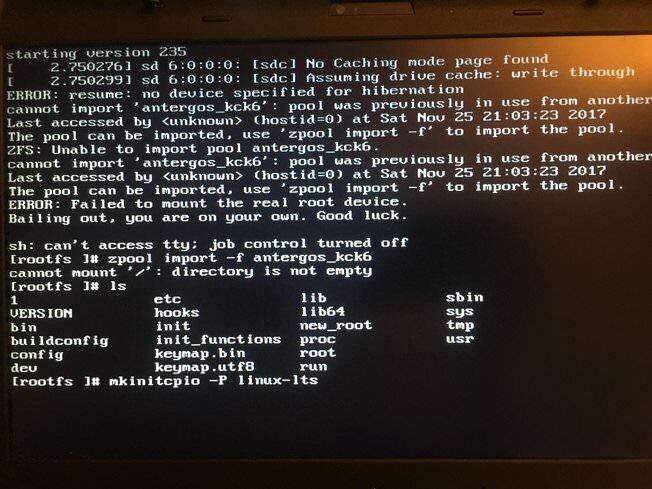 This time, however, I did what it mentioned and invoked # zpool import -f antergos_kck6' and it actually worked – but I couldn’t really run any commands, regardless of exporting PATH of basic binary locations, etc. (I wasn’t inside a real shell). So that’s definitely cool. I think it might have to do with being created by the installer program – I might try and run the installer in a VM and see if I can prevent the issue from exporting the pool before rebooting out of the live installer image. @judd Well, sort of — it’s solved for me personally. But how many other people is this happening to? Is there a way that this process could be automated through the installer? Like, possibly export the zpool for people who choose ZFS as their file system before reboot so it doesn’t throw people off who might be less technically inclined? As @karasu say before, he was simple add the option to the installer to get ZFS installed if you want it, but it is not a full implementation to the Antergos-Ecosystem it is shipped as it is. May some users will come together to sort out what is needed for better implementation of ZFS. As antergos-developers have already much to solve on the regular stuff. I can join in too and give some information on the installer or the ISO itself, as i earned some knowledge on providing the nvidia-ISO. @joekamprad Yes, I understand @developers are probably very busy already. I am happy to help in any way I can. ZFS on root was the entire reason I moved from Arch (and before that, Manjaro) to Antergos. I wonder how many other people are in the same boat? Is there a way to create a poll?